We build basic Vertical Transport Units, but that's just the start. 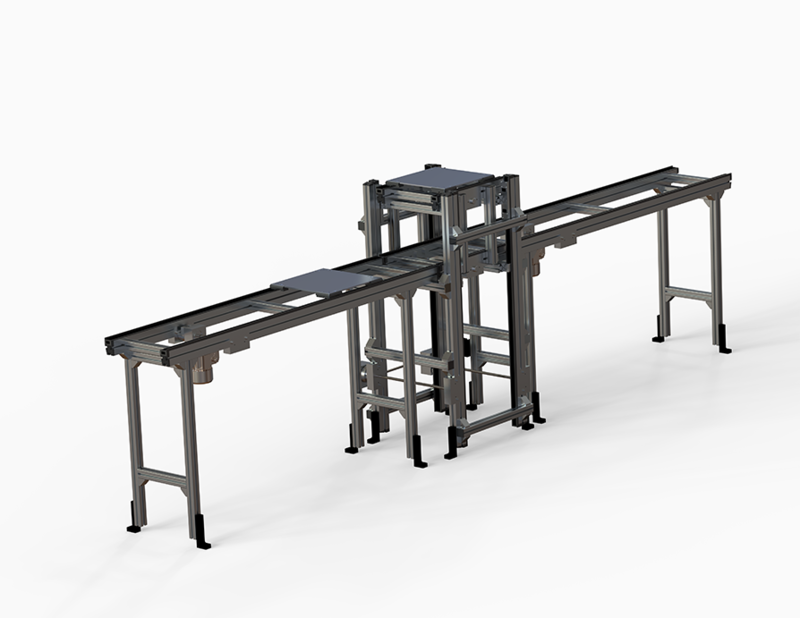 Our standard VTUs are highly customizable to fit your exact specifications – offering much more than a typical two-position, up/down arrangement. Multiple positions, multiple decks, independent axes, and more – if it involves vertical movement, we have you covered. 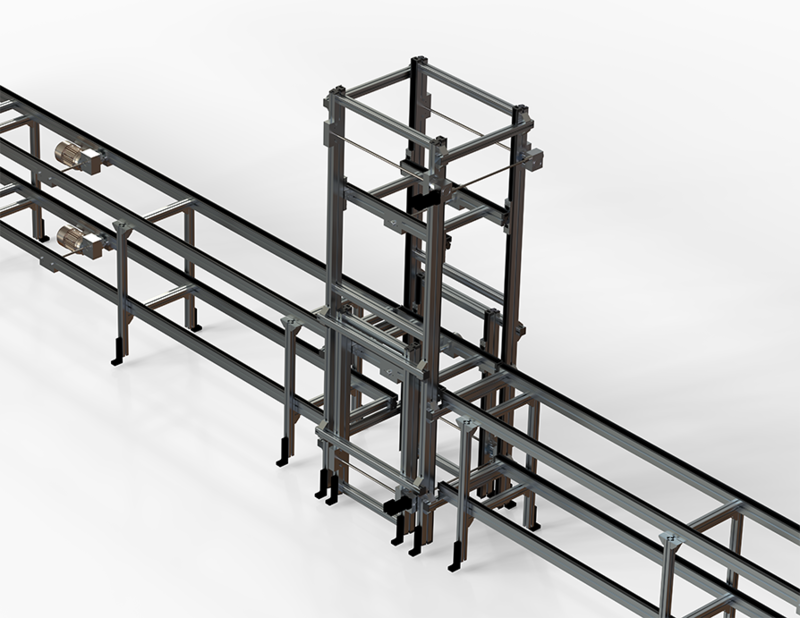 Introducing our totally configurable, precision VTUs all designed to reduce overall conveyor system floor space. See our VTU solution gallery below for example applications. 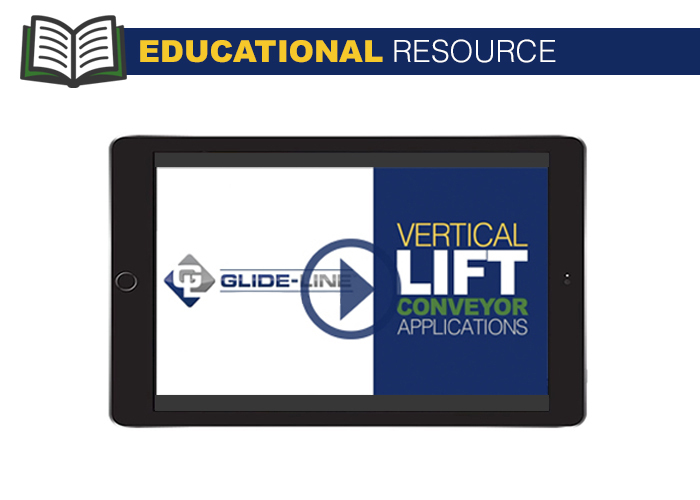 This unit utilizes a section of transport conveyor as an elevator platform and benefits from a vertical servo-driven actuator for positioning. 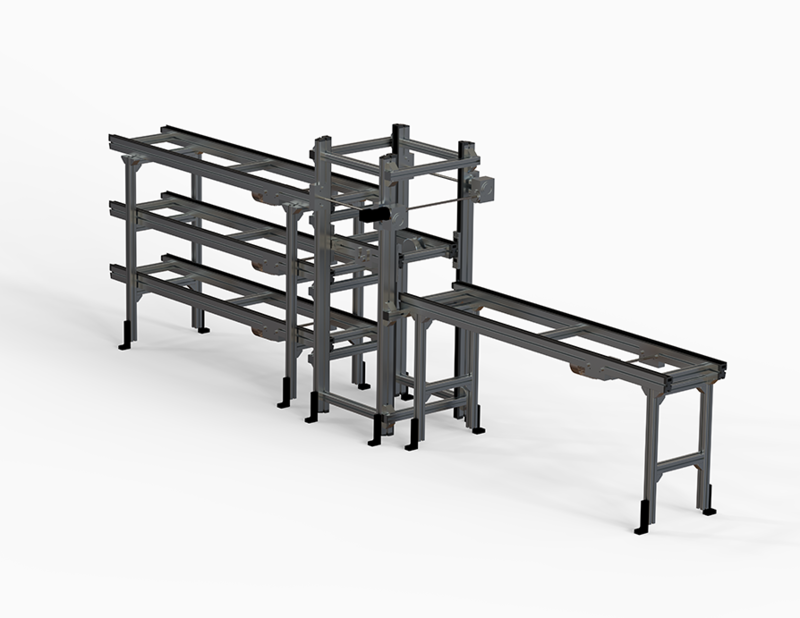 The elevator platform conveyor can operate in either direction. 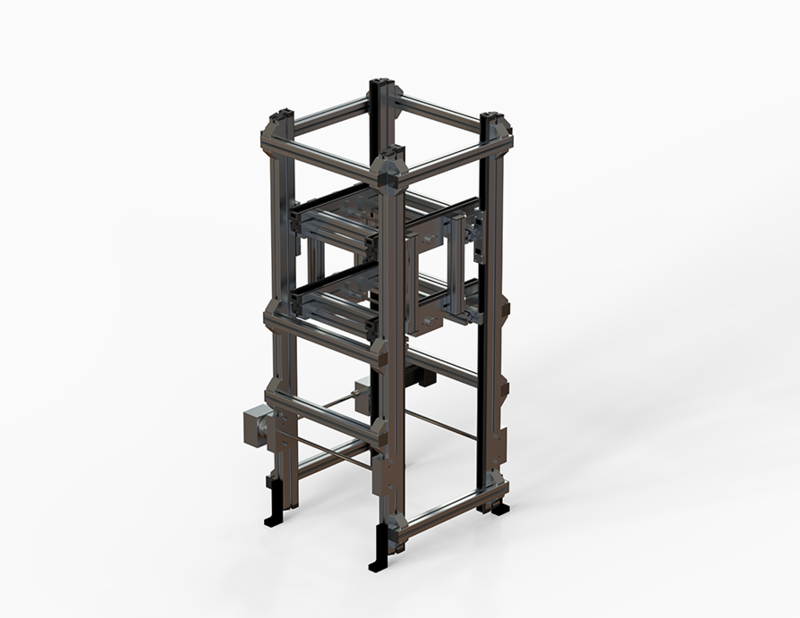 This unit utilizes a section of transport conveyor as the platform and is actuated up/down (z-axis) by an electric motor - typically stepper or servo. 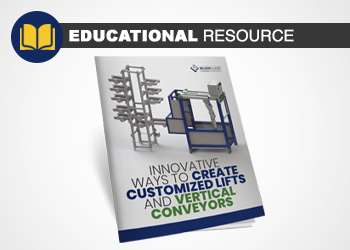 Learn about vertical lift conveyor application options and how these VTUs can be applied to solve unique challenges in your conveyor automation system design. 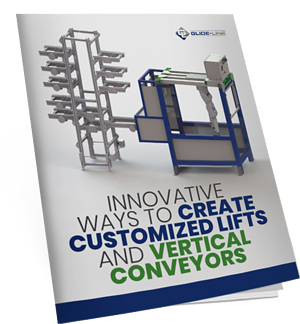 Reduce floor space for your conveyor system, utilize the precision aspect of our VTU in interesting concepts, and increase automation system throughput with these vertical lift conveyor applications. 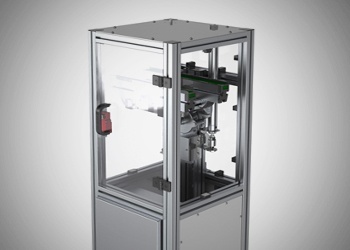 Step-servo control of the z-axis allows maximum tilting flexibility. In this ebook, we explore challenges solved by VTUs and review innovative, real-world examples of how design engineers have developed creative lift-based solutions. If out-of-control costs to customize your client's process in a limited space is keeping you awake at night, there's an innovative way around it. Download the guide and find out how today. Our Engineers Design Creative Solutions. 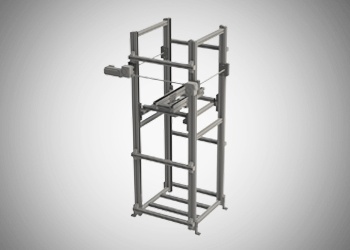 Our vertical lift solutions have largely been born from the need to solve a customer's project challenge – yours can be next! Contact us today via the form below if you don't see what you're looking for from our customized standard automated conveyor VTU solutions. Our team of engineers can help you find a creative fix. 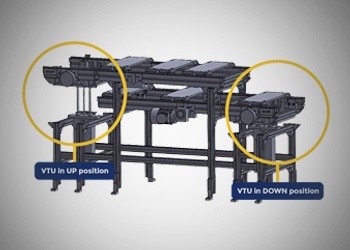 Elevate your product with a VTU while maintaining or improving throughput. 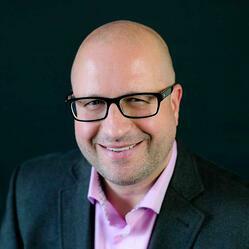 This article gives more details. Here is an article on How to Create a Bypass on a Conveyor Line. 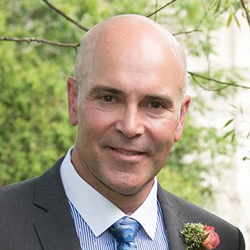 One of the biggest challenges faced by design engineers today is the ability to quickly and accurately receive pricing, along with model numbers. 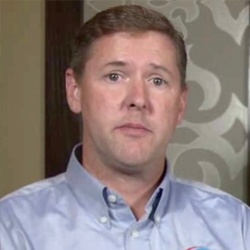 Using IMPACT!, Glide-Line's in-context configurator, those issues and the time it takes to receive them are a thing of the past. 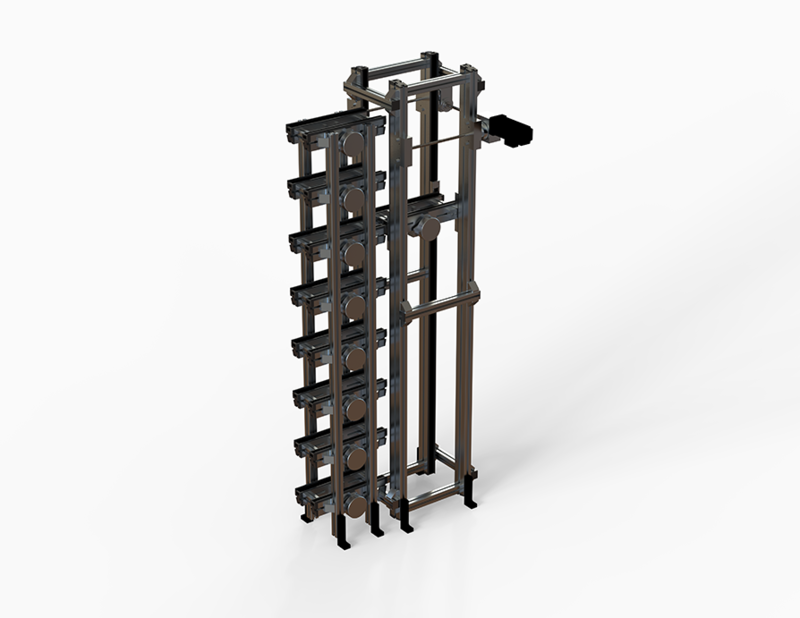 Plus, it pairs directly in SOLIDWORKS. Learn more today.